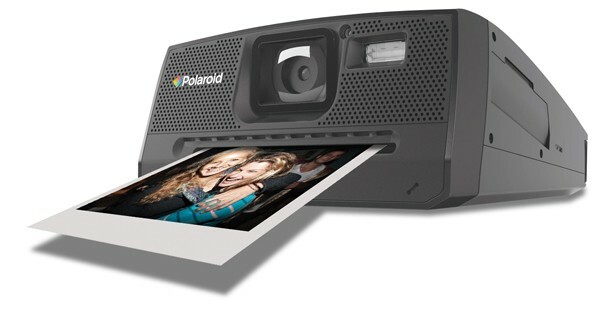 The Polaroid Z340 prints out your digital images right on the spot. Were you crushed when Polaroid stopped production of their classic instant cameras? Do you miss being able to have a physical copy of your photos almost immediately after you take them? Or maybe you just have a soft spot for the vintage feel of Polaroid prints. If you answered “yes!” to any of these questions, then the Polaroid Z340 Instant Digital Camera is the point-and-shoot for you. One of the coolest features of this camera is that it prints images without using any ink. ZINK Technology (short for Zero Ink Printing Technology) from ZINK Imaging is an advanced printing technique that eliminates the need for replacement ink or toner cartridges. Because printing is an ink-free process, you’ll never have to worry about your pictures being smudged or damaged by water, and the tear-resistant photo paper isn’t too shabby either. You’ll rest easy knowing that each 3” x 4” print will stay in one piece. If you decide that you don’t want to print your photos, that’s okay too because the Z340 is SD compatible. As far as digital cameras go, this Polaroid is decent. It comes with a rechargeable lithium-ion battery, ten sheets of photo paper, charger, USB cable and hand strap. It also offers many of the same settings as you would normally find on a standard digital point and shoot (i.e. landscape, night, portrait, etc. ), plus a few extras. With the ability to add borders and apply visual effects such as black & white and sepia tone to images right from the menu, this camera succeeds in giving its user creative freedom. This camera also boasts 14.0 megapixels, resulting in clear images both on screen and on paper. Unless you are a Polaroid enthusiast, or someone who likes to have physical copies of your photographs, there are better alternatives to this camera. If you already have an iPhone, Android or any other web-enabled smartphone with a camera, then there really isn’t any reason to own the Z340 as well. At its core, the Polaroid is intended to instantly share photos with friends or family, and you can achieve essentially the same goal with half the hassle using your camera phone; sharing your pictures through e-mail, texting or social media. So, until this camera goes on sale, I’d skip it.